The Appalachian Trail Kickoff, or ATKO, is an annual event held in early March. This event has been going on for 18 years, and continues to get better and better each year. If you are an aspiring Appalachian Trail hiker, whether you’re planning a thru-hike, long section, or just want to get out and do some day hikes, this event has something to offer. The ATKO is kind of a send-off for the year’s thru-hiker class. The event draws crowds of hikers setting off for their long treks, many of whom will start the march to Maine following the weekend-long event. It’s also a great opportunity for experienced hikers and long-time AT enthusiasts to congregate and re-unite with old friends while making new ones. Each year, vendors and experienced Appalachian Trail community members coordinate and gather to make the kick-off happen. Vendors set up booths with backpacking-focused equipment for hikers who need to make last minute purchases or gear upgrades. Hostel owners hand out cards and vouchers for discounted stays. Trail experts give talks and presentations on everything from Leave-No-Trace to dehydrating your own backpacking food. Hikers come for a weekend of fun and fellowship – welcoming the new class of AT hikers into the family, and sending them off better prepared than they were before. There are a lot of reasons to attend ATKO, from gear to shakedowns to building community. Get your start photo under the Arch and sign in at the Visitors Center to register your thru-hike! The ATKO offers a prime opportunity to gain first-hand knowledge from people who have been there. While checking out the latest in cottage-industry gear offerings is cool, I think the talks and presentations are the real draw of this event. Attending ATKO will provide the opportunity to meet and hear from the likes of long-time trail angel Miss Janet, Lightheart Gear‘s very own Judy “Heartfire” Gross, and Hiker Yearbook founder Matthew “Odie” Norman. In addition to hearing from trail celebrities, many trail organizations will be providing valuable information and updates. This year, a representative from ADLHA’s search and rescue team will give a talk about “Staying Found on the AT.” A certified LNT trainer will discuss Leave No Trace ethics, and a representative from the Benton MacKaye Trail Association will be talking about this “Least Used Trail.” Check the itinerary below for a schedule of presentations. If you are still in need of some major pieces of gear, avoid the shipping costs and buy it in Georgia! Several representatives from both big and small name gear companies will be present. These companies often offer deep discounts to attendees. This year’s vendors will include Lightheart Gear, Antigravity Gear, and REI among others. If you already have all of your gear, ATKO offers a prime opportunity for the ever-important “pack shakedown”. Several experienced long-distance backpackers are usually available to help you shed some pack weight. Get professional opinions on what you need vs. what you don’t and start the trail with a leg-up. Finally, if all of the above hasn’t convinced you, come for the fellowship. There is a community fire pit in the tenting area, and plenty of opportunity for lounging at the lodge. Each year, new and experienced hikers gather in the evenings to discuss trail life. Newbies come with their eager questions and concerns. Long-time hikers reminisce on their own thru-hike attempts. Trail stories and laughs abound. Someone usually brings s’mores. Sometimes, thru-hikers walk away from this event with new friends that will become family as they make their way to Maine. Honestly, Tent City is the way to go for thru-hikers. You can test out your gear for a night or two, get help setting up your tent if you have no idea what you are doing, and hang out around the campfire in the evenings. I plan to be in Tent City again this year for the 5th year in a row! Amicalola Falls State Park and Lodge offers a lodging option for every type of traveler. For the hiker who just isn’t quite ready to rough it yet, the Lodge itself offers nice indoor accommodations. Most of the events and displays happen at the Lodge, so staying here is convenient. There is also a restaurant inside. For the glamper who isn’t quite ready to turn into a full-fledged camper, the State Park offers both cabins and RV sites nearby. Both the cottages and RV lot are pet friendly. These accommodations are a short walk from the lodge and are a slightly less expensive option. For the aspiring thru-hiker and fully fledged hiker trash, there will be a tenting area available. The tenting area is in a flat field next to a creek and costs $10/person/night for Friday and Saturday night. There are a few options for hanging hammocks, and it is close to the visitors center, where restroom and shower facilities can be found. 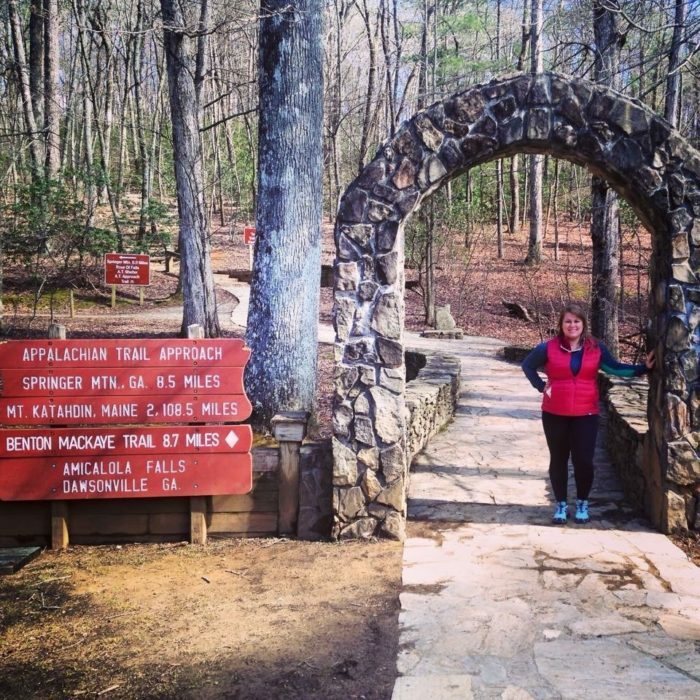 This is also where thru-hikers will check-in to begin their hikes, weigh their packs, and pose for for a photo under the arch! It’s also the beginning of the Approach Trail for those who will be taking that route to Springer Mountain. To reserve a tent site, you can call the Lodge at 1-800-573-9656. Whichever lodging option you choose, you’ll want to call and make reservations ASAP! The Lodge and the Campground fill up quickly for this event. As the event gets larger, the tenting area may fill up as well. 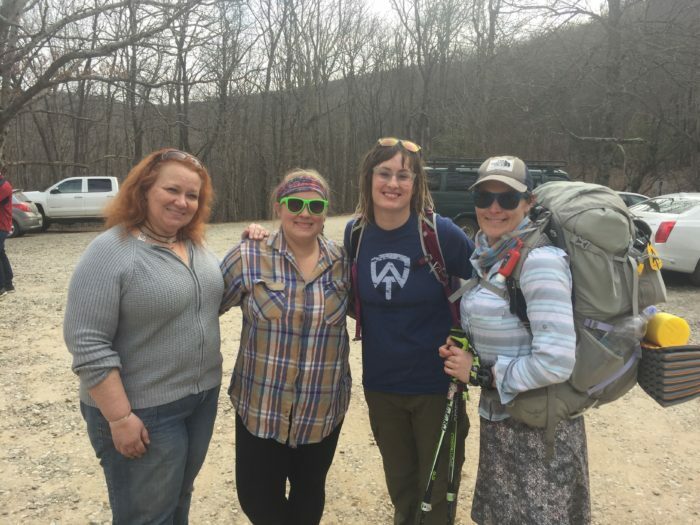 Left to right: THE Miss Janet, me, Silly (AT C/O 2016), and Second Dinner, who was starting her NOBO trek at Springer Mountain on Sunday following the ATKO, 2017. You can get to this event via whatever method you were planning to arrive for your thru-hike. There are several shuttling options available from the Atlanta area. In addition, Top of Georgia Hostel usually offers shuttles, as well as Ron’s Appalachian Trail Shuttles. The REI stores in Atlanta have also started offering hiker shuttles, and will be attending the event so that could be a good option for someone. If you are starting your thru-hike immediately after the event and need to get to Springer, there are always people at the event offering shuttles. In addition to the above mentioned services, past hikers and trail angels attending the event often jump at the opportunity to provide rides to Springer. Someone will get you there, don’t stress over that. See you at the kick-off! 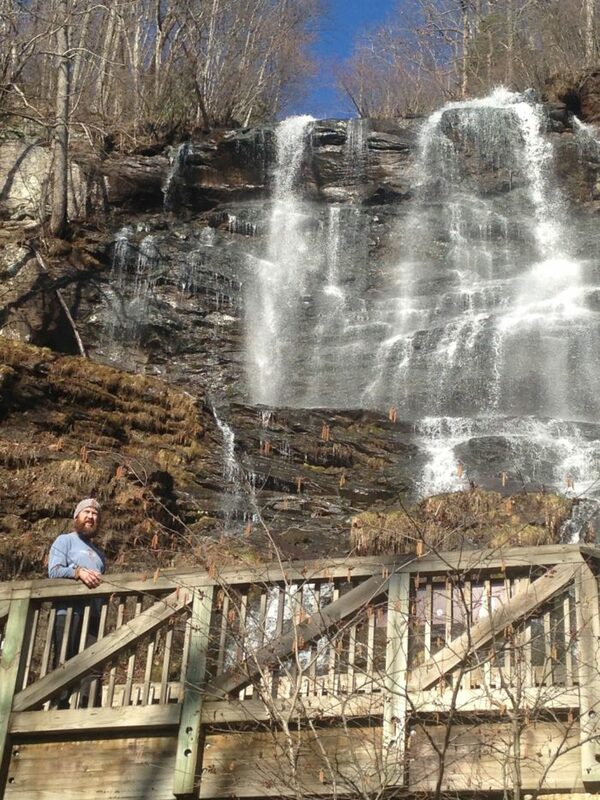 If you aren’t hiking the Approach, the kick-off is a great opportunity to see Amicalola Falls, the tallest waterfall in Georgia! (AT C/O 2015 and 2016 thru hiker Yukon Cornelius pictured at the base of the falls). Hope I can come. I will thru hike the AT for the first time this year. Starting last week in March probably. Good luck to all thru hikers! And to all hikers!! Interesting opinion piece. Seems more dedicated to bringing down Bob than preserving the memory of Jack, though, since this is the only post I can find on the entire site? I knew Jack personally and know Bob as well – both have contributed invaluable information and services to the Appalachian Trail hiking community in their time. Both have long, colorful, and storied backgrounds about their involvement with the Appalachian Trail. Both have had their claims scrutinized and character questioned over the years. I’m much less concerned with whether either of them has hiked every single inch of the AT or anything else they ever claimed than I am with what they bring/brought to the trail and community that surrounds it. Bob is a wealth of information and provides a much-needed resource through his hostel and shuttle service. I’m excited to get to hear him speak at the event this year! The only regret is that Jack is no longer here with us to share his wisdom and tales from the trail, as well. Peace to you, and happy trails! That’s pretty rough to go to crazy lengths to try and bash someone who most likely did thru-hike. All I can say is last year I stayed at top of GA and Bob provided good lodging, good food and great information that helped me push through the hard times. Thanks Bob! Wasn’t planning on attending the kickoff as I won’t start my SOBO hike till July 17 but it sounds like a great time! I’m a sixty year old gentleman who has bicycled over 16,000 miles around the perimeter of US two years ago, canoed the entire Mississippi River (2550 miles) last year and now ready to complete the last installment of my “Bucket List Trifecta”by hiking the AT. If you know of any adventurous woman around my age who is looking for a platonic hiking partner, please pass along my contact information [email protected].I would be happy to provide reference information, who had a great time on our bicycle adventure. Best of luck on your quest, Nanook! A SOBO hike is definitely not going to be as crowded as a NOBO, but you’ll inevitably meet some of the most incredible people you’ve ever encountered. Even if you start “alone” its unlikely you’ll stay that way for long. Excited for you to embark on this journey! I am excited to know this event takes place. Sounds like a great way to start the hike!! I wont be ready for2018 but by march 2019 I will be!! Any idea of the 2019 date?? Good luck to all the 2018 hikers!! Hey Keri! For the last few years it has been that first weekend in March I believe. I’d expect it to be the same next year. Good luck with your planning! What does ADLHA stand for? Hi Jon! ALDHA is the Appalachian Long Distance Hikers Association. They have meetings a couple times a year and do trail work, maintenance, fundraising, etc. Hello Tim. I am a retired Major from the Harris County Sheriff’s Office in Houston, Texas. I too am planing on thru-hiking the AT, leaving on my 60th birthday on March 5th (HAPPY BIRTHDAY!) Where are you from? Hi I was just wondering your opinion on attending this event if I am not through hiking this year but hope to do it one day soon in the next few years. I don’t want to be in the way LOL is this just mainly for through hikers basically? This event is for EVERYONE. You will not be in the way, and I dare say you will not be in the minority. In years past, there have been at least as many people who weren’t thru-hiking as who were, maybe more. 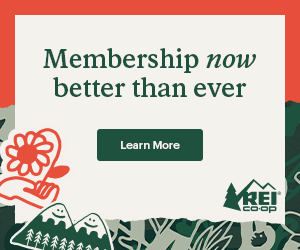 You’ll have an opportunity to see and put your hands on some cottage industry gear that you can’t find in stores, to talk to people who are knowledgeable and experienced, and to camp with and feed off the energy of the current year’s hiker class (if you choose to stay in tent city). You can also get some hiking in while you’re here if that’s something you want to do 🙂 Hope to see you there! My brother and I are planning to attend the event and kick off our thru-hike but I can’t find where to reserve a spot in Tent City. We called the Lodge and they don’t seem to know anything about it. Any advice? You should be able to call the lodge at 1 (800) 573-9656‬ and ask to be transferred to the Visitors Center. They handle tent city. I just spoke with them yesterday, and even if you don’t make a reservation you should be fine to grab a site the day of. They were not expecting to sell out.